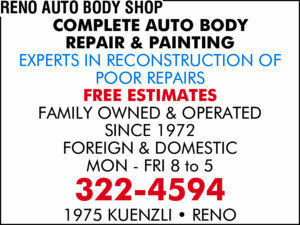 Reno Auto Body has been family owned and operated since 1972. Our goal is to provide both a superior customer experience and tremendous results for our customers. Owner Barry Roberts has over 35 years of experience in auto body repair, painting, and expert reconstruction of poor repairs.